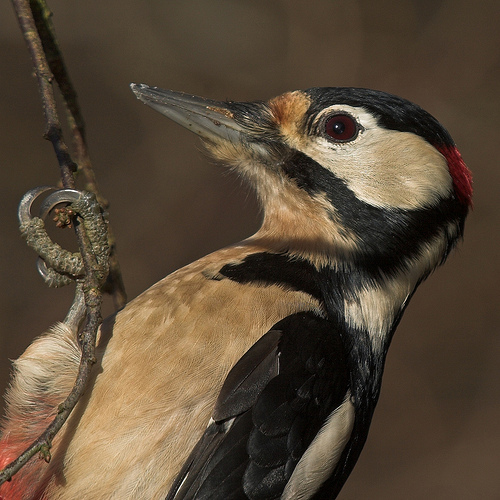 Closeup of a Great Spotted Woodpecker. From a hide I had a good view on this Great Spotted Woodpecker. Sun from behind, I only had to wait untill the animal relaxed. Action shot of a hunting Blue Heron. In contrast to the huge splash, he came up with a very, VERY tiny little fish. My guess it was a juvenile, learning to fish. 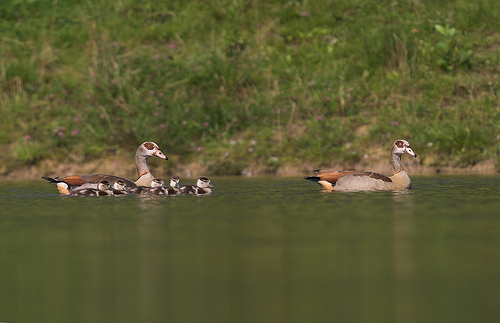 Egyptian Geese with chicks taking a swim. 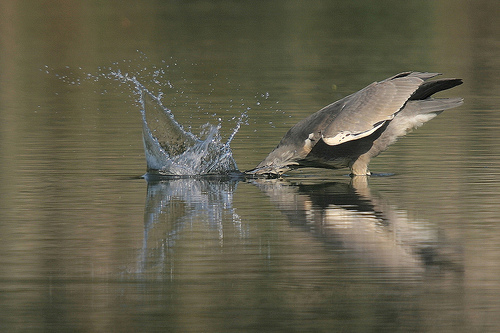 The Egyptian Goose is a beautiful animal but is not indigenous to the Netherlands. They thrive nevertheless. A swimming flock of Mute Swans and a single Barnacle Goose in the Biesbosch.